Issuers of HECM mortgage-backed securities (HMBS) sold a total of $9.5 billion in 2015, well-above the previous year’s tally thanks to an all-time high of 14 different lenders, according to the latest market commentary from New View Advisors. Leading the way, American Advisors Group (AAG) retained its title as the top HMBS issuer for all of 2015, having issued more than $1.84 billion of securities across 179 pools during the year. Among all issuers, AAG’s issuance commanded a 19.5% market share. Finance of America Reverse (formerly Urban Financial of America) followed next with approximately $1.61 billion issued in 225 pools for a market share of 17%. Ranking at the third spot overall was Reverse Mortgage Solutions, whose $1.47 billion issuance total represented a market share of 15.5%. In total, the company issued 159 HMBS pools in 2015. 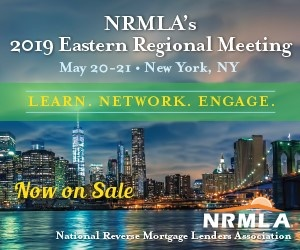 Meanwhile, Reverse Mortgage Funding and Liberty Home Equity Solutions rounded out the top-five HMBS issuers, issuing $1.40 billion across 133 pools and $1.02 billion across 170 pools, for respective market shares of 14.8% and 10.8%. Collectively, the top-five HMBS issuers accounted for approximately 78% of all issuance, down from the previous quarter’s 83%, according to New View Advisors, which compiles its HMBS findings from publicly available Ginnie Mae data as well as private sources. New View attributes this decline to Wells Fargo’s significant tail issuance in 2015, all of which occurred in October and November, yet accounted for 5.9% of total annual market share for the year. To see where other HMBS issuers finished 2015, read the New View Advisors commentary.